iPhone Cases That Support a Good Cause | cradl. Protect your iPhone in style and help to make a difference! At cradl we believe in in the power of giving back, and we want to show how powerful philanthropy can be. We have developed a seamless vetting process for all potential non-profit partnerships and we utilize a “Capital Gift” strategy. Through this approach, we can gain a better understanding of the needs and goals of those organizations we are giving to. As opposed to a flat donation, which in our experience can create logistical and budgeting issues, Capital Gifts lay out a specific funding goal. Once that goal is met, we move on to our next non-profit partner. $0.50 of every case cradl sells goes toward this program. cradl thrives on win-win scenarios, and one of the ways we show this is through the impact our program has on the lives of others. The Academy for Precision Learning (APL) will partner with cradl to raise $10,000 for IT infrastructure upgrades and assistive technology. Through cradl’s Give Back campaign APL students will have access to the latest technology, supporting them no matter their ability. Examples of these improvements include increasing broadband internet access throughout the building and purchasing tablets and software to support executive functioning and core curriculum learning. The Academy for Precision Learning is a K-12 school dedicated to the success of all students – including typically developing and those across the autism spectrum – learning within an academically challenging and socially vibrant environment. 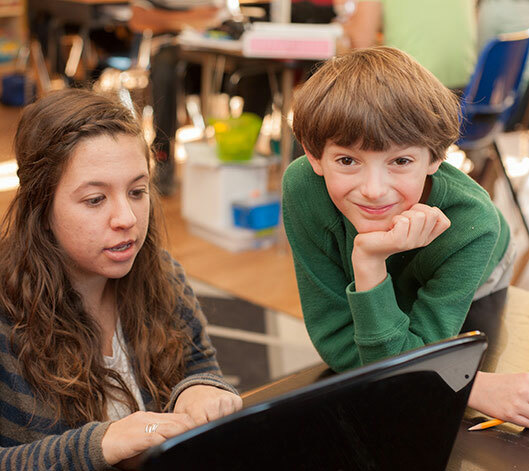 APL uses high quality, data driven approaches – including Direct Instruction, Applied Behavior Analysis and Precision Teaching – to create individualized learning plans specifically designed for each student.